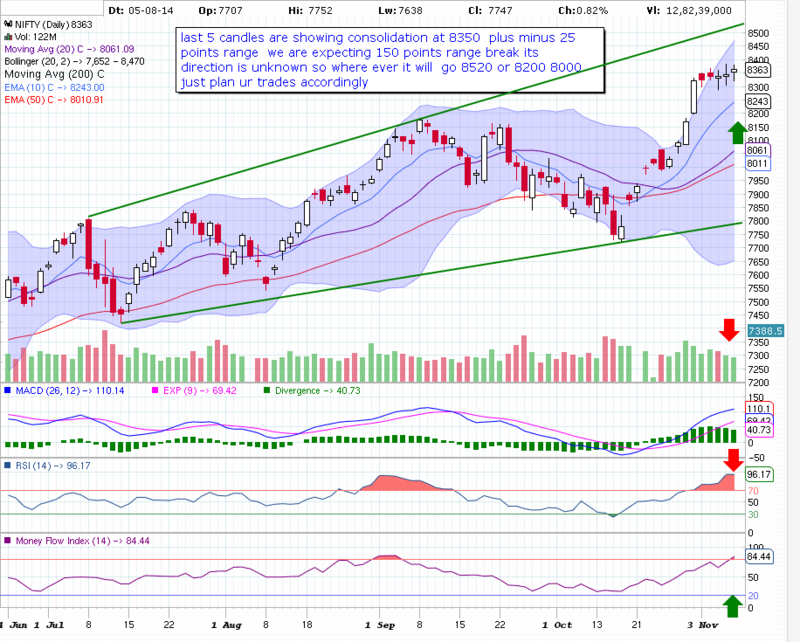 will Nifty reach at 8200 ? how many sessions will it take to reach at 8200 ?? 1. Trade above rising wedge , trade in range and forcefully create panic in small traders to cover their short positions and move up due to short covering. 2.stay at 8100 and traders create more shorts at 8100 8120 level and then profit booking in their holdings which will bring market down and short positions will give gud returns . 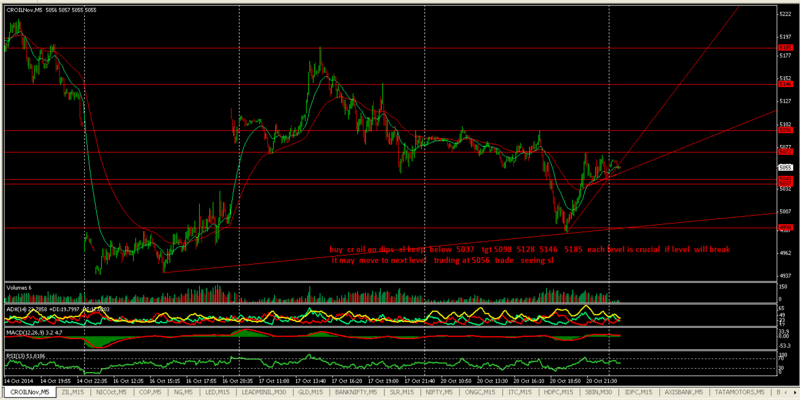 3.due to selling pressure gap filling then negative closing and creation of bearish engulfing candle. will tristar work this time ? got support at 23.6 % fib retracement lavel yesterday … today it may break either at open or during market hours and NF may trade at 7950 60 level below that 38.2 % retracement passing thru 7930 40 so we can expect today’s range between 7930 to 8020 expect expiry around 7900 or below ..
To clear 20 dma gap up will be there now all dmas will act as support and nifty may start pivoting around 8000 for few sessions. Yesterdays low 7890.65 call was …..
[×] [o] admin: bnf traded above 15850 bole to 50 point gain on this call 16 Oct 14, 11:54 AM [×] [o] admin: BUY bnf at 15815 sl 15696 tgt 15897 15996 u may BUY as low as u can http://prntscr.com/4wn0l4 50 se 60 bnf points matalab 1200 se 1500 rs per lot for less than 13k capital requirement …. 10 % aaya na ?? Consider the Traders Action Zone, or TAZ. The simple truth to all stock market trading lies in the figure below (Fig. 1), whether it is a broad market index or a single security. Understanding which stage you are in dictates how it should be traded. This pattern holds true because it is the nature, the heartbeat of market action. 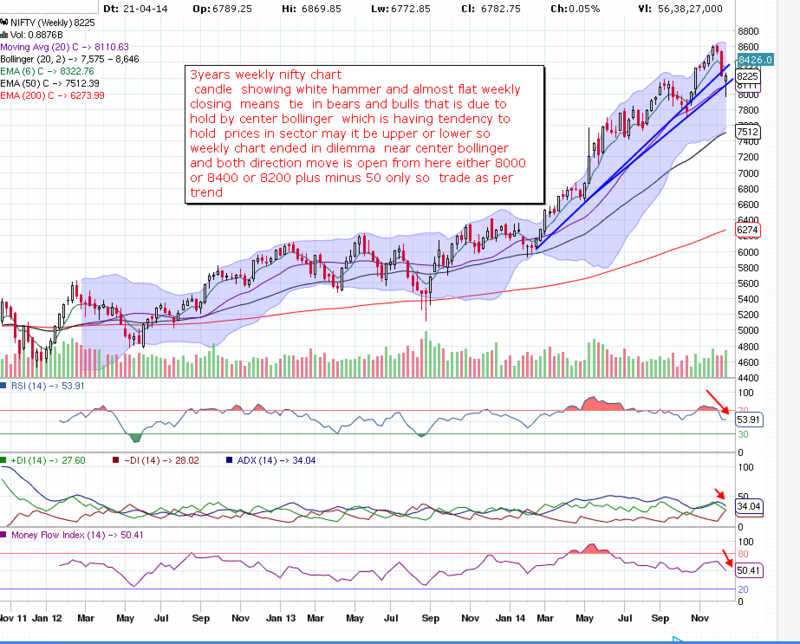 It also holds in all time frames, that is the Traders Action Zone applies, be it monthly, weekly, daily or intraday charts. Four Market Stages: Stage 1 occurs after a long downtrend. The stock has been going down but is now beginning to form a base trading sideways, moving it into stage 2 of the Traders Action Zone, the glory stage where traders make most of the money made in the market. Stage 2 is where the smart money gets into the stock, ahead of those traders who aren’t convinced of the value yet. This is where the Japanese proverb relates: “Climbing the ladder of success is not accomplished with your hands in your pockets.” Do not wait and buy high! Stage 3 is called the “churning” stage, where low-information traders are just now getting into positions. Buyers and sellers are now in a balance and the stock drifts, awaiting the next stage.